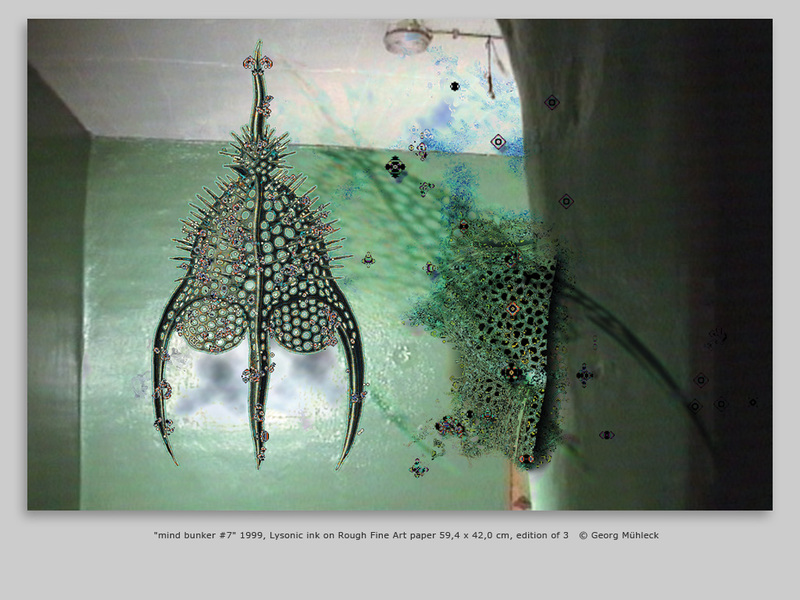 “mind bunker” shows 'memory spaces'. The bunker as a metaphor for the skull (protection of the brain) stands for any space someone is using to protect themselves from the burden of the exterior world. The surrounding walls are projection surfaces for thoughts. “engram trackers” serve as symbols to visualize an invisible body of thought. Engram trackers are rummaging through stored fragments of an episode in the brain, thus allowing a present interpretation of a past event - both, individual experiences and unconscious 'collective memory' (evolution of humankind).